In 1965, de Havilland Canada developed the DHC-6 Twin Otter aircraft – a high winged, un-pressurized twin engine turbine powered aircraft with fixed tricycle land gear. Designed as a rugged Short Take Off and Landing (“STOL”) commuter, the Twin Otter was capable of carrying passengers and cargo into remote unimproved locations, including ski and water based operations. The aircraft were sold around the world to customers operating in the harshest environments, including subzero Antarctica, the hottest deserts of North Africa, the mountainous regions of the Himalayas, and the open water of the Indian Ocean archipelagos. A testimony to its rugged construction and incredible STOL performance, the Twin Otter became the best-selling 19 passenger aircraft of all time, still unmatched for its dependability and versatility. The de Havilland Twin Otter experienced a production span of twenty-three years before the line was officially shut down in 1988, after a total of 844 aircraft were delivered. The “Legacy fleet”, as it is now known, has remained in active use since the program end, carrying out jobs no other aircraft can do; in 2001, the Twin Otter was chosen as the only aircraft capable of performing an emergency evacuation flight of a critical patient from the South Pole under extreme -60 degree conditions. This ability to reliably operate in any environment with minimal maintenance requirements has kept the legacy fleet at the forefront of niche markets around the world. It is often said that the only thing that can replace a Twin Otter is another Twin Otter, which explains the high demand in the market to keep the nearly 500 remaining legacy aircraft in operation. In 2005, Viking purchased the Type Certificates for all of the out-of-production de Havilland aircraft (DHC-1 through DHC-7), including the Twin Otter. 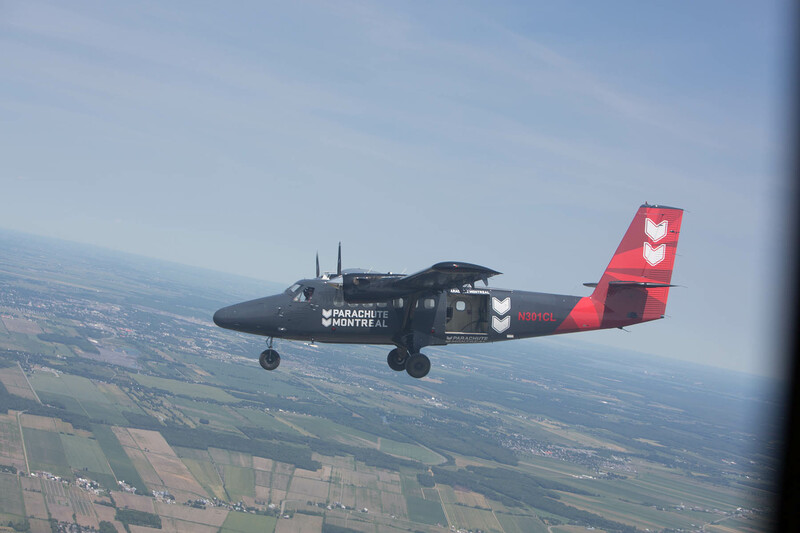 After an extensive market analysis was conducted, it was determined that an overwhelming demand existed to bring the Twin Otter back into production, thus the Viking Series 400 Twin Otter Production Program was announced in 2007. The first production aircraft was delivered in 2010 and by mid 2015, 75 of the new series had been delivered. Combining a proven design with modern technology, the Viking DHC-6 Twin Otter Series 400 provides “Versatility That Works”. The Series 400 Twin Otter picks up where the original de Havilland Series 300 Twin Otter left off, introducing upgraded Pratt & Whitney PT6A-34 engines, fully integrated Honeywell Primus Apex digital avionics suite, internal and external LED lighting, and approximately 800 other modifications incorporated to improve upon the original production model. Viking Twin Otter DHC-6However, like its predecessor, the Series 400 Twin Otter retains the ability to operate economically, safely and reliably from remote and unimproved airfields due to its robust design, equalized maintenance program and dependability of the Pratt &Whitney engines. Available on standard land gear, optional straight or amphibious floats, skis, wheel skis, or intermediate flotation gear (“IFG”), with multiple quick-change interior configurations available, the Series 400 Twin Otter is a versatile aircraft that can be utilized for multiple roles, such as regional commuter, environmental monitoring, parachute operations, cargo and infrastructure support, corporate shuttle, and personal use. A Special Missions variant of the Series 400, the Twin Otter Guardian 400, has also been developed for ISR operations. Offered as a versatile airframe that can be customized for unique configuration requirements, the Guardian 400’s low acquisition cost and flexible architecture allows operators to mix and match sensors and interior layouts to meet their specific mission profiles.